Each text is linked to its Amazon.com offering, so the books should be currently available. This list, compared to the thousands of books produced every year on the subject of writing, is brief and highly selective; although it’s useful, it can always be added to. That’s where you, the reader, can help tremendously. I know you’re reviewing many resources that we’d all benefit from knowing more about. If you’ll please add your choices in the comments below, and say why you like them, we’d all be very grateful. Or, if you’d like to be a guest book reviewer, please let me know! I’d love to add your writing to the blog! Feel free to suggest other categories, or books that fit into a category you don’t see, but think should be here. Significant Others: Creativity and Intimate Partnership. Eds. Whitney Chadwick and Isabelle de Courtivron. London: Thames and Hudson. 1993. Throughout history, writers and artists have collaborated, inspired, and occasionally damaged one another. This collection of essays about those pairings, and the results (the inspiration, the messy divorces, the published works) provides an interesting view into what happens when creative people combine work and their private lives. I read this initially because the concept of the ‘muse’ is powerful for creative people. I want to demythologise societal beliefs about the muse, so this book, with its focus on how that myth has been distorted by fantasy, is an excellent resource for realists. Bennett, Hal Zina. Write Starts: Prompts, Quotes, and Exercises to Jumpstart Your Creativity. Novato, CA: New World Library. 2010. There are many helpful prompts in this book, but one of the better ones, because it’s one of the harder topics for beginning writers to feel comfortable with, is the Checklist for Creating Characters. Character creation is hard, and anything that makes the process of coming up with authentic characters easier, is good. 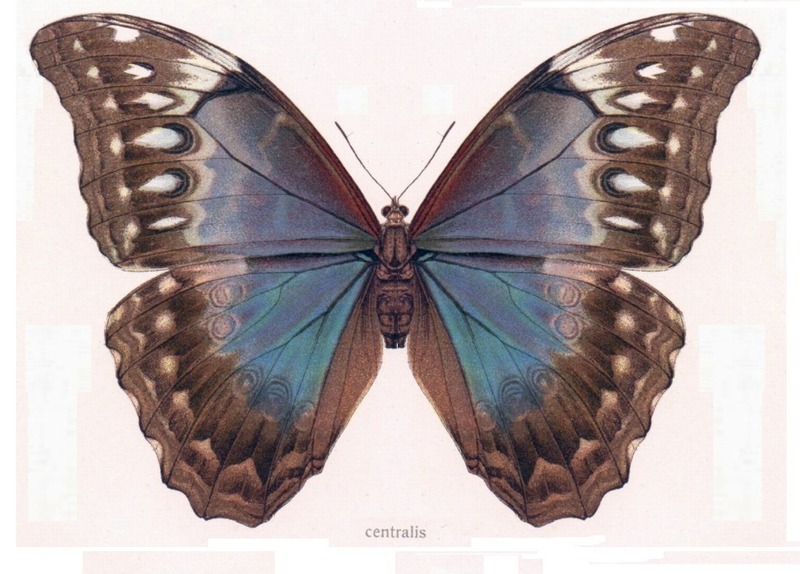 Czikszentmihalyi, Mihaly. Flow: The Psychology of Optimal Experience. New York, NY: Harper Perennial. 1991. Czikszentmihalyi believes that the key element of an optimal experience is that it is an end in itself. Even if initially undertaken for other reasons, the activity that consumes us becomes intrinsically rewarding. That means that if you’re not enjoying something actively, but you stick with it, the chances are much better that you will have that moment of inspiration or breakthrough that leads to the next place in your understanding, ability, or talent with something. The preparation is all. The amount of work, conscious or unconscious, that you put into something like writing, can lead to greater insight and skill. White, Fred. The Daily Writer: 366 Meditations to Cultivate a Productive and Meaningful Writing Life. Cincinnati, OH: Writer’s Digest Books. 2008. Providing a useful idea for each day of the year, this book focuses on inspiration and invention. Each page is divided into Idea, Further Reflection, and Try This. The idea for July 15 is “The Art of Keeping a Pocket Notebook,” which encourages writers to carry a small notebook so as to “jot down just enough of an idea to prompt you when you get home.” Further Reflection tells us, “It is possible to jot down ideas while doing other things,” and Try This suggests taking a nature walk with your pocket notebook, recording impressions and observations. DeMarco-Barrett, Barbara. Pen On Fire: A Busy Woman’s Guide to Igniting the Writer Within. Orlando, FL: Harcourt Books. 2004. If you judged this book by its cover, you’d think that it was a superficial how-to with cute little snippets of ersatz refrigerator magnet ‘wisdom,’ but in fact, it’s a serious look at the inner world of the beginning writer’s quest for perfectionism in a world of internal and external clutter. Speaking directly to women, this author understands how difficult it can be to get started writing when you doubt yourself. Each chapter combines creativity, philosophy and common sense about life, emotions and writing. The Writer’s Notebook: Craft Essays from Tin House. Ed. Lee Montgomery. Portland, OR: Tin House Books. 2009. Tin House literary magazine’s summer writers’ workshop produced the authors who appear here, exploring and expanding on subjects as diverse but as necessary to writing as creating a sense of place, and the errors inherent in trying to find the perfect word. This edition comes with a two-part CD on crafting character, and using real life to create fiction. Writers On Writing: A Bread Loaf Anthology. Eds. Robert Pack and Jay Parini. Middlebury, VT: Middlebury College Press. 1991. This particular volume of essays is widely-quoted because it produced some of the best writing from published writers ruminating on elements of concern, like ‘clarity’ or ‘tone of voice’. My favorite essay so far, because it’s funny and it inspired me to re-read Chekov, is called “Learning from Chekov.” It details how the author, a writing teacher, learned from the elegance of Chekov’s prose that everything she was trying to teach her students was wrong. Erica Jong, Gail Godwin, John Irving, and Joyce Carol Oates are also contributors, as well as many I am less familiar with. Lopate, Phillip. The Art of the Personal Essay: An Anthology from the Classical Era to the Present. New York, NY: First Anchor Books. 1994. I never understood the power of writing one’s personal story and personal perspective until I taught students who asked why they should use the personal pronoun. They couldn’t understand why it was necessary or important. What I learned was that people were losing track of their own stories; instead of knowing themselves, taking responsibility, and being able to write as a process of self-discovery, they had instead been taught to avoid the personal pronoun. This book has marvelous examples by writers such as Jorge Luis Borges, F. Scott Fitzgerald, Adrienne Rich, and Annie Dillard. Each of their essays reminds us why we should remember how to write personal essays, once the most common essay form, popularised by Michel de Montaigne. The Art of Writing: Teachings of the Chinese Masters. Translators: Tony Barnstone and Chou Ping. Boston: Shambala. 1996. Fischer, Steven Roger. A History of Writing. London: Reaktion Books. 2001. Intended as an historical summary of the history of writing and its effects on society, this book provides useful background, complete with illustrations, of various writing implements, scripts (alphabets), and technologies. The author’s contention is that writing is “not an automatic reward of social sophistication,” nor did it begin randomly and independently, as many scholars suggest. Instead, beginning with the Sumerians of Mesopotamia, and expanding on their invention, Fischer shows the development of writing as it made its way across the globe. Jean, Georges. Writing: The Story of Alphabets and Scripts. New York: Harry N. Abrams, Inc. 1992. The title is misleading, because this book is so much more interesting than it sounds. The book is an introduction to the history of writing, including photographs illustrating relatively obscure details, like the ways in which calligraphy helped create calligrams. Included are descriptions and images of alphabets, scripts, typefaces, calligraphic styles, manuscripts, engravings, paintings, folios, stella, frescoes, papyruses, tablets, and more. Hart, Jack. A Writer’s Coach: The Complete Guide to Writing Strategies That Work. New York, NY: Anchor Books. 2006. I like this book because of the direct style in which it’s written. Hart, an editor and teacher, sees writing as a process, and focuses on method, revision, and structure. He further breaks the book down into chapters titled, pragmatically, things like “Brevity,” “Clarity,” and “Color,” and then speaks directly to the reader, as in the section “Boring Beginnings”: Beginnings matter, and human beings naturally pay special attention to them… [b]ut some writers carry their interest in beginnings way past any point of reader interest. Straightforward writing and to-the-point opinions based on his extensive experience. Kane, Thomas S. The New Oxford Guide to Writing. New York, NY: Oxford University Press. 1994. I cannot tell you how many how-tos I have read through the years, and rejected because they were unnecessarily hard to wade through. This handbook covers the necessary basics, and it’s easy to find what you’re looking for. Kane’s structure is straightforward, beginning with a description of what the writing process is, through detailed chapters about essay writing, diction, punctuation, grammar, expository paragraphs, description and narration, and an explanation of what a well-written sentence looks like. Sloane, William. The Craft of Writing. New York, NY: W.W. Norton & Co. 1983. Possibly the slimmest volume you will ever read on the subject of writing, at a compact 122 pages, Sloane explains what the craft of writing ought to be about. It was always his intention, while he was alive, according to his wife’s introduction, to “write a book about how to write a book,” and this collection of his speeches and letters represents his philosophical approach to the craft of writing. An editor and publisher, he was a frequent, and highly-esteemed, contributor at Bread Loaf, America’s oldest writers’ conference. I believe very strongly in reading what editors and publishers have to say about writing and writers, because theirs is a very different mentality than writers’, and one you must understand if you’re going to get published someday. Ueland, Brenda. If You Want To Write. Saint Paul, MN: Greywolf Press. 1938; copyright renewed 1987. This is one of the first books I ever read about writing, if not the first, and it’s a classic. Though she discusses craft, it is much less a how-to, than a ‘why-to,’ reassuring the beginner that what she has to say is important. “Though everybody is talented and original,” Ueland writes, “often it does not break through for a long time. People are too scared, too self-conscious, too proud, too shy.” Her advice to help people break out of these negative states of self-consciousness is to “be careless, reckless; be bold; be a lion, be a pirate, write any old way.” She found that criticism did not inspire this response in her students, but encouragement to be more daring and take more risks, did. DeSalvo, Louise. Writing As A Way Of Healing: How Telling Our Stories Transforms Our Lives. Boston, MA: Beacon Press.1999. Louise DeSalvo wrote a previous work about Virginia Woolf’s life. In this book, DeSalvo writes about taking pain seriously, the kind of pain that writers like Virginia Woolf lived with. DeSalvo’s thesis is that writing helps us discover our inner reality and heal from the damage life inflicts. This is an intense book, one that you should read if you’re serious about writing as a form of catharsis, and especially if you’ve been in therapy, or are considering going into therapy. For those who have had serious or traumatic events during their lives, this book is invaluable. Nelson, Victoria. On Writer’s Block: A New Approach to Creativity. New York, NY: Houghton Mifflin, 1993. There are many books that give you ideas about how to avoid or combat writer’s block. The problem is that they discuss writer’s block as though it were ‘merely’ a behavior to change, rather than a combination of mental, emotional, and psychological issues to understand before you can do anything about it. 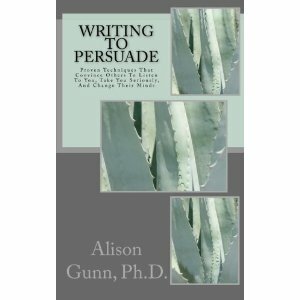 This book discusses the psychology of resistance to writing from the perspective of self-awareness, self-acceptance, and, most importantly, your relationship to the concept and ability to play. Without letting ourselves play, according to Nelson, creativity dries up, leading to blocks. The Writer’s Community. Eds. David J. Klooster and Patricia L. Bloem. New York: St. Martin’s Press. 1995. I prefer textbooks that are clear, easy to read, and accessible by students. Therefore, a textbook has to be well laid out, structured, and not unnecessarily dense or wordy. The best way to learn how to write is to read about writing, not only via essays that are well-written, but also to read step-by-step ways of approaching a topic, or thinking about things to say. The best academic readers invite response, but also encourage critical thinking. The most important suggestion the editors make is that writers learn to read with a writer’s eye, so as to be able to observe and imitate the craft of writing. Clark, Gregory. Dialogue, Dialectic, and Conversation: A Social Perspective on the Function of Writing. Carbondale: Southern Illinois University Press. 1990. This work convinced me that writing is socially-constructed, and that it can, and should be, a collaborative endeavor. Furthermore, Clark argues for a dialectical, rather than eristic, rhetorical approach to writing, based on consensus rather than agonism. This way, no one writer, rhetor, or orator, is ever the “voice of truth,” but instead, we all share in the creation of truth and wisdom, rather than expecting it to come from one source (i.e., the teacher). Ede, Lisa. Work in Progress: A Guide to Writing and Revising. New York: St. Martin’s Press. 1992 (9th ed. 2004). Lakoff, George and Mark Johnson. Metaphors We Live By. Chicago: University of Chicago Press. 1980. Once I read this book, I understood how the metaphor that compares writing to a struggle defines expectations about writing and writers. Our ordinary conceptual system, in terms of how we both think and act, is fundamentally metaphorical in nature. When we conceptualize writing as a struggle, we compare an act of writing to something we perceive as difficult; a challenge we must rise to. Primarily, though, writing-as-struggle relies on a metaphor of violence, and that’s the reason I want us to think differently about writing, and find a different metaphor to describe the act of writing. Defining ourselves as struggling to write is unnecessary, and it’s time to change the paradigm.